Carwow have reviewed the new Yaris here: https://www.youtube.com/watch?v=Iq7YgpnJ_FY. How do you use the dashboard cubby holes??? An 18 reg Yaris as featured, isn't going to be the most up to date spec. That "reviewer" and Car Wow's reviews are biased towards German cars, poser cars, those that go faster and those that are "fun" to drive - whatever that means? That useless ledge on the left is handy for storing a long thin sausage. The previous Mk 2 was excellent for the provision of storage spaces. The Mk 3 is dire in comparison. He was very complimentary of the current Prius Hybrid though. The original Yaris (I had a 2000 model) had great storage, excellent flexible rear accommodation with the sliding rear seats, and IMHO the best digital dash I've ever seen. The second generation one I had in 2011 had, as you say, even better internal storage, optional under-boot space to keep the main boot tidy, and very flexible rear seating, where each part of the 60-40% split could slide and recline separately. Four tall adults could easily sit in comfort with more rear space than an Auris unless you need top make the boot very large. When the 2012 model came out I was more disappointed than with any car ever. The smallest glove-box I've ever seen (had better in cars made in the 1960s! ), no under seat drawer, no sliding rear seat (and poor legroom) appalling headroom (I find it hard to even get in the back, and cannot sit upright), and back to 1950s style dials! I had high hopes I'd have the Hybrid version, but just couldn't live with the package. "He was very complimentary of the current Prius Hybrid though." Probably quite rightly so? I'd forgotten about the rear seating. I much prefer my Mk2 to the mk3 which my mother owns - I always thought they had gone backwards by going back to the old fashioned round dial clocks in front of the driver. They keep re-hashing a design now 7 years old, and its high time a complete new model came out to replace the Mk3 which has been on sale since 2012. Thinking that the Mk2 only ran between 2006 and 2011, it had the shortest production run of all the Yaris models so far. The Mk2 has much nicer dashboard, better storage in front of the driver, and as said previously, under seat storage, which I also had on the 1999 CDX that I owned before my current car. A total redesign is sorely needed and the mk3 finally retired. A total redesign is sorely needed and the mk3 finally retired. I agree. On the same carwow channel the Audi A1 is reviewed. It shows up the similar sized Yaris in the dashboard area. The next generation must have a virtual display in the normal dial area, with variants - petrol, hybrid, PHEV, performance hybrid, 4WD. If Toyota still want to use their patented CVT while small competitor EVs start shipping, it has to have a small PHEV as a stopgap - most EVs at moment have long lead times due to Battery source problems and you can ship out 10 PHEVs for 1 full EV Battery-wise. I agree. On the same carwow channel the Audi A1 is reviewed. It shows up the similar sized Yaris in the dashboard area. 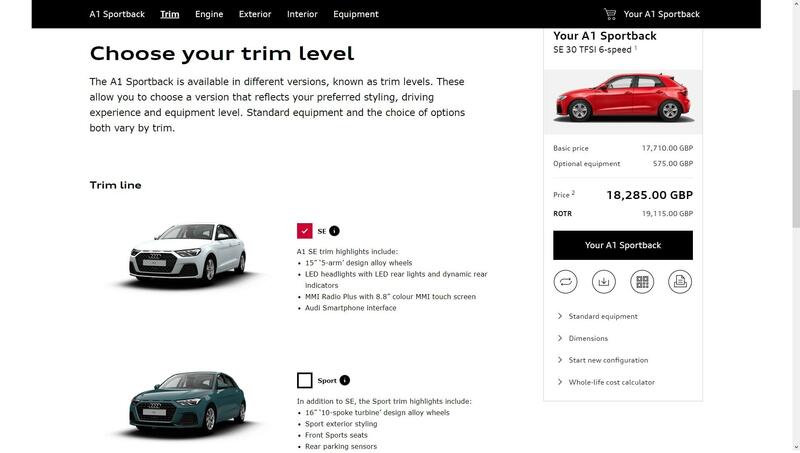 The new A1 is literally that - a brand new design. The current Yaris was intoduced in 2011 so presumably is due for replacement. The new Corolla & RAV4 do seem to show that Toyota's interiors are much improved (but probably not yet quite up to VW let alone Audi). The next generation must have a virtual display in the normal dial area, with variants - petrol, hybrid, PHEV, performance hybrid, 4WD. If Toyota still want to use their patented CVT while small competitor EVs start shipping, it has to have a small PHEV as a stopgap - most EVs at moment have long lead times due to battery source problems and you can ship out 10 PHEVs for 1 full EV battery-wise. Audi only appearr to be doing petrol/manual & petrol/s-tronic with 1 engine & 2wd so why must Toyota offer all those extra options? VW just announced that they wouldn't be doing a PHEV version of 1 of their smaller cars as the cost of the powertrain would be as much as a full EV powertrain. I suggest you re-read my post for the answers. It would be more logical to compare the Yaris with the Polo - as they are direct competitors, rather than being a 'premium' offering in the supermini sector, which is what the A1 aspires to be - hence the high specification of the A1. The thing is that the A1 has the digital cockpit with the lowest price around £18500, which is the Yaris Hybrid sector. Your post says Toyota need a small performance hybrid and/or a small 4WD hybrid but doesn't say why - what % of the market is looking for those? I understand why you suggest a PHEV as a stop gap but VW says the economics don't work for small cars. I think Toyota could use its strengths (CVT, hybrid, 4WD) to better affect before EVs take over. They have the GRMN, so are interested in that area but it was so 20th century. Think of it as catering for all areas while you can - look at Colgate and toothpaste versions - they fill up the shelving with so many versions, it takes over 🙂 . 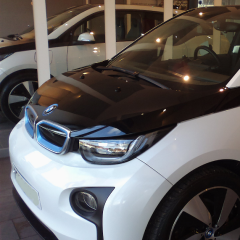 Regards PHEVs, don't feel you need the usual 9kWh batteries now that the government have dropped the £2500 hand out. A 2kWh Battery is fine for the average daily use of just 7 miles and this could fit under the rear seat, with the other gubbins in the spare wheel well. You also get the pre-conditioning ability. The current trend (at least in the volume car industry) seems to be to reduce variations rather than increase. OTR is over £19k list, you can have a Yaris Hybrid in Active trim OTR for £16k (or less if you get a deal). Nope I got £18500 on the road price from the Audi configurator. Active trim is not a good trim level. Well, it is giving me over £19k ROTR for lowest trim with no options - it ifrom £18540 for the car but the OTR package is over £500. As I said that £3k differential exists if you go up trim levels. Interesting how do you get there? When I go to select a trim (3 on offer) the "basic" SE already has £575 of options on it? 🤔must be because the illustrated vehicle is red (metallic)? Although the A1 is of similar size, it's not a hybrid so it's difficult to compare. I had the A1 1.6 tdi manual in 2015 SE (lowest trim) sportsback 5 doors for 3 years. I added hill start assist £65 and DIS for £190, final price was 15800. The A1 even with the base trim spec was very good with heated mirrors, auto door lock, 4 electric windows and close windows with remote fob. These items I missed quite a lot with my current hybrid icon spec. But the hybrid cost went into the hybrid engine and Battery of course. It's not a like for like comparison. It's not a like for like comparison. A good point but it seems that some places are still asking nearly £20000 for a non-hybrid Yaris (not the GRMN which you can still get 'new' if Autotrader is to be trusted). Also, I guess it's harder to find room for the HV Battery and other Hybrid competent in a smaller car - maybe that's why the sliding rear seat got dropped (even on non-Hybrids to avoid having different bodies which would increase costs). I also noted, when the Yaris Hybrid first became available, that it had a smaller petrol tank than the non-Hybrid versions, which took away another benefit of some Toyota Hybrids (e.g. original and current version of the Prius) of a 600+ mile tank range.